The holidays are just around the corner and the last thing you need is getting sick. The flu season is approaching its peak, so get a flu shot now! If you haven’t received this season’s flu vaccination yet, you’re not too late! In fact, influenza activity usually peaks in January. The flu season runs from October through May, so everyone is urged to stay protected and get vaccinated as soon as possible. National Influenza Vaccination Week will be observed from Dec. 8 -14. Suffolk County Executive Steve Bellone and Health Commissioner Dr. James Tomarken urge all residents to receive the flu vaccination if they have not already done so. “Once vaccinated, you can enjoy this holiday season knowing that you have taken the single best step to protect yourself and your loved ones against the flu,” said Bellone. The flu vaccine is recommended yearly for everyone six months of age and older, according to the Center for Disease Control and Prevention (CDC). Children under age nine may need to return for a second dose of immunization. Common symptoms of the flu include fever, congestion, coughing, sore throat, and muscle aches that can last one to two weeks. Serious complications may also occur for some, leading to hospitalization or even death, according to Dr. Tomarken. Get your flu vaccine today. Stay home if you develop influenza-like illness. If you are sick, wash hands often and cover your coughs and sneezes. Use a tissue and discard it after use. 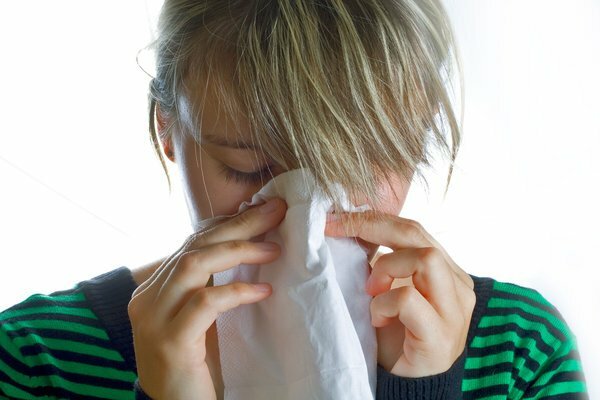 If you don’t have tissue, cover with your upper sleeve (not your hands) when coughing and sneezing. Individuals vulnerable to complication from influenza should seek medical attention at the first signs of illness. Those at high risk may include children younger than 5 years, people 65 years of age and older, pregnant women, and people with certain long-term medical conditions, such as asthma, diabetes, heart disease, neurological and neurodevelopmental conditions, blood disorders, morbid obesity, kidney and liver disorders, HIV or AIDS, and cancer. For anyone seeking additional information about influenza, call the Department of Health Services Hotline at (800) 787-2200 or visit www.cdc.gov/flu. Flu-related questions may also be directed to FluInbox@cdc.gov. Subject: LongIsland.com - Your Name sent you Article details of "Peak of Flu Season, Get Your Flu Shot!"